Get them while they're hot! 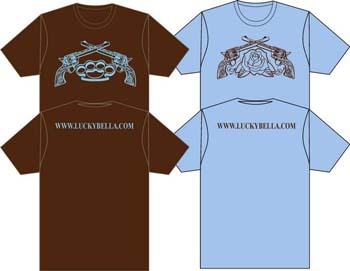 We have new Lucky Bella t-shirts for men and women. You can buy one by going to paypal.com. Just click on "send money". The e-mail address is luckybellaink@yahoo.com. Tees are $20. The mens are brown and come in sizes medium through exra large. The womens are blue and come in sizes small through large.